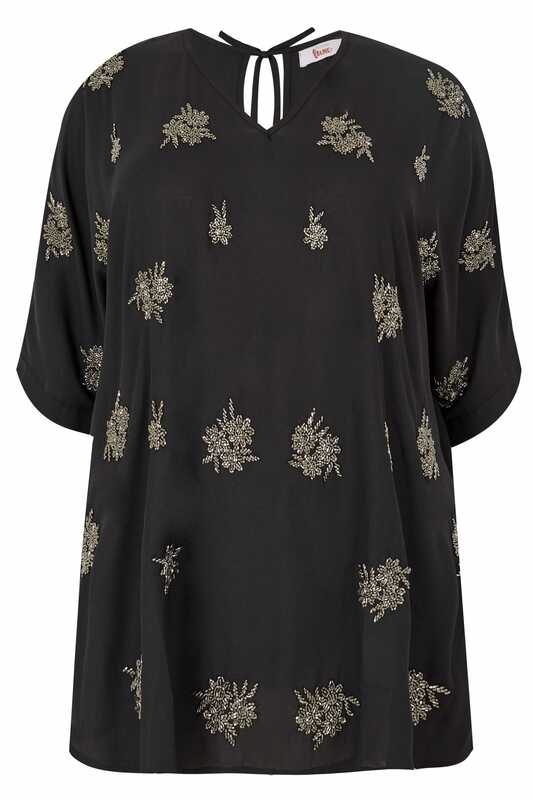 Add a touch of luxury to your look with this glamorous cape top from our LUXE collection. Exuding feminine charm with the intricate beaded details, it features a self-tie tassel fastening to the neck and flattering 3/4 length cape sleeves. 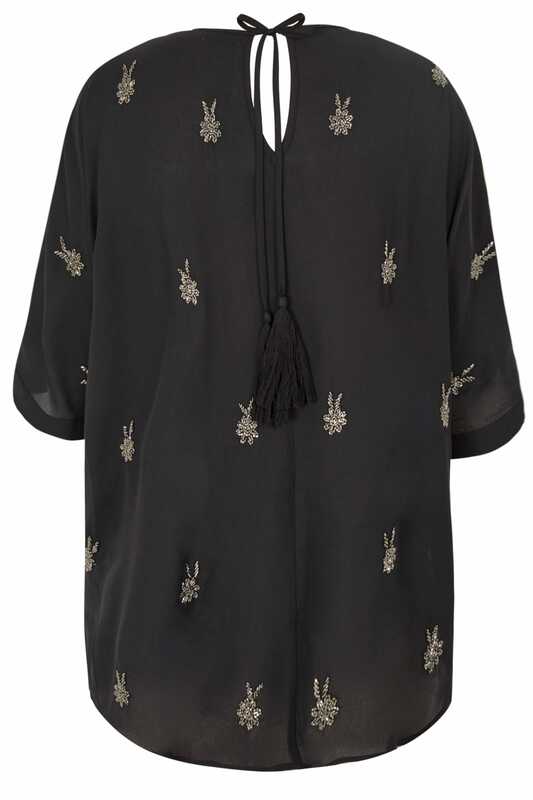 Ideal for wearing to a late-night party, team with dark denim and heeled sandals for effortless style. We are loving the intricate beaded details.